Refreshing Daily in God's Word: Daily Devotion: Where is the God of Elijah? Daily Devotion: Where is the God of Elijah? Key Verse: Verse 14 - “And he took the mantle of Elijah that fell from him, and smote the waters, and said, Where is the LORD God of Elijah? and when he also had smitten the waters, they parted hither and thither: and Elisha went over." The essence of what Elisha is saying is that he wanted the power that God had placed upon Elijah to be placed upon him. Elisha looked to God for his authority—his power—not man or organizations. 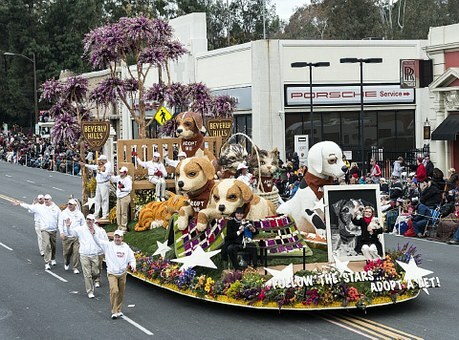 One New Year’s Day, in the Tournament of Roses parade, a beautiful float suddenly sputtered and quit. It was out of gas. The whole parade was held up until someone could get a can of gas. The amusing thing was this float represented the Standard Oil Company. With its vast oil resources, its truck was out of gas. Often Christians neglect their spiritual maintenance, and though they are “clothed with power” (Luke 24:49) find themselves out of gas. The power of God is available to us; but we need to fill up with the Spirit. ✞ Fill up with the power of God. Daily Devotion: Where Is the Wise? Daily Devotion: Where Is Our Boasting? Daily Devotion: Where Are the Accusers? Daily Devotion: Where Is Your Faith? Daily Devotion: Where Is Your Treasure? Daily Devotion: Where Is the Honor? Daily Devotion: Where Are Your Fathers? Daily Devotion: Where Are the Lions? Daily Devotion: Where Is the Gin? Daily Devotion: Where Is Their God? Daily Devotion: Where Is He Who Can Save? Daily Devotion: Where Is the Daubing? Daily Devotion: Where Is the Corn and Wine? Daily Devotion: Where Is the Word? Daily Devotion: Where Are the Gods? Daily Devotion: Where Is God? Daily Devotion: Where Were You? Daily Devotion: Where Is Wisdom? Daily Devotion: Where Is My Hope? Daily Devotion: Where Are The Vessels? Daily Devotion: Where Are They? Daily Devotion: Where Is the Lamb? Daily Devotion: Where Is Thy Brother? Daily Devotion: Where Art Thou? September 2017: Emphasis on: Where???? ?